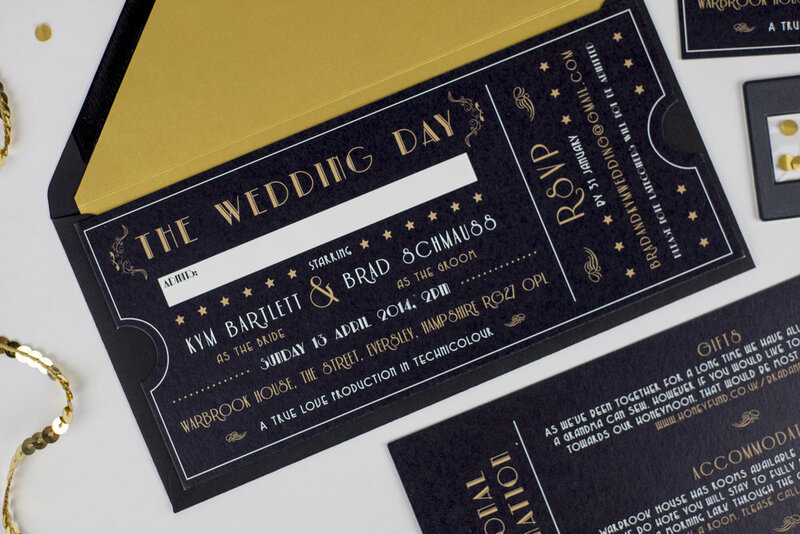 This 1920's movie ticket style invitation set was a pleasure to design, drawing on all things 20's, whilst adding that element of fun with a movie ticket shape and tear off ticket stub as the rsvp. 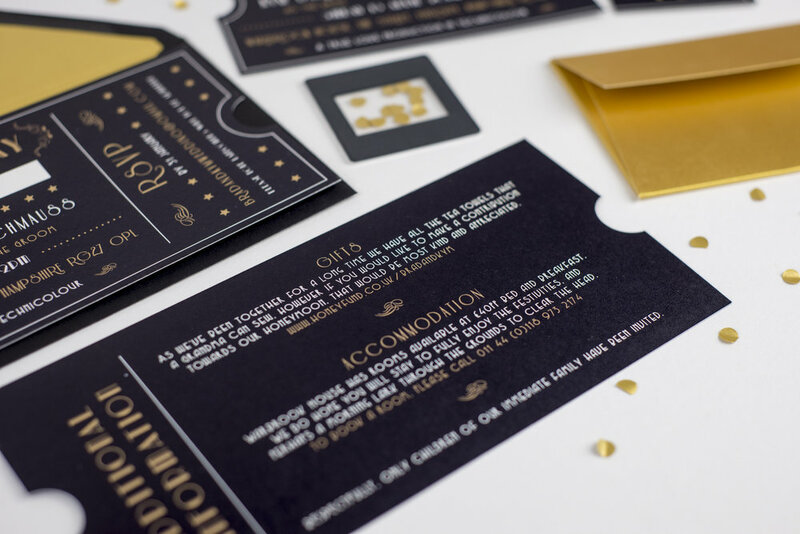 Printed on a high quality board with die cut semi-circles to each end and an easy-tear perforated rsvp. This invitation gave that desired nod to 1920's hollywood glamour and the clients were thrilled!